Chronic Kidney Disease (CKD) is a large and growing public health problem internationally and in Australia. CKD is classified as a loss of more than one third of kidney function for longer than 3 months. CKD may result in the continual decline of kidney function terminating in End Stage Renal Disease (ESKD) and the need for Renal Replacement Therapy (RRT). The preferred treatment option of ESKD is often a transplant. In the meantime, or for patients where transplantation is not possible, maintenance dialysis is provided to replace the function of the kidneys and remove unwanted toxins from the body. Aboriginal and Torres Strait Islander people are at significant risk of CKD. 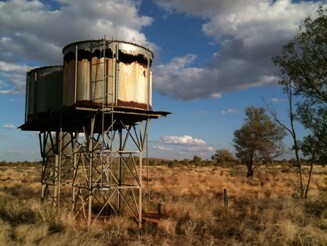 In remote and very remote areas of Australia the incidence rate of End Stage Kidney Disease can be 18 to 20 times greater than the rate for comparable non-Indigenous people . Sadly, the cost of providing RRT can be insurmountable in developing countries and many people with ESKD globally can go without medical treatment. The comparison of patients receiving RRT per million population (pmp) and gross domestic product (GDP) per capita shows that the number of people able to receive RRP therapy is restricted somewhat by GDP. FBE Pty Ltd sponsored a PhD investigating dialysis services to Australia’s Aboriginal desert communities ('Dialysis technology in Australian Aboriginal Desert Communities, A Forward-Osmosis design and qualitative analysis', Dr Michael C. Smith, Flinders University 12/02/2015). 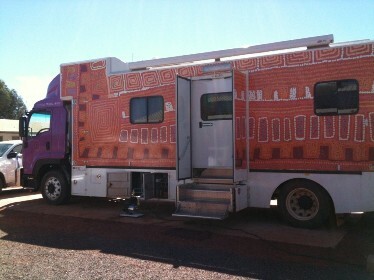 Providing dialysis treatment to people in remote Australian communities presents unique challenges, and is currently achieved with small satellite clinics and mobile dialysis trucks to allow short term return-to-country visits. Dr Smith hypothesised that an improved water purification system, with less water usage and better energy efficiency, may increase access to treatment within these communities. His research led him to develop a novel method of dialysis production using Forward Osmosis to generate ultrapure dialysate for haemodialysis treatment. 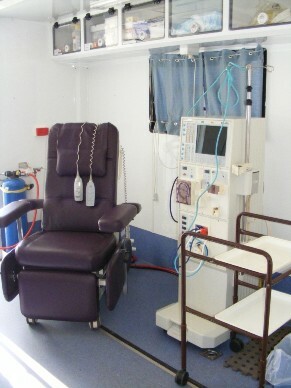 Traditional dialysis machines cost US $10,000-20,000+ each, and need to be attached to elaborate, and often expensive, water purification systems. 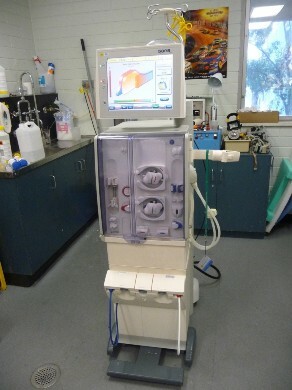 An affordable dialysis machine is an innovation desperately needed to meet the growing international burden of CKD. The George Institute for Global Health, The International Society of Nephrology, The Farrell Family Foundation and The Asian Pacific Society of Nephrology have set an international challenge to design the world’s first affordable dialysis machine . The winning entrant will be awarded a prize of 100,000, together with other support for further developing and commercialising the machine. FBE is currently working to build on Dr Smith’s successes during his PhD and design a novel dialysis machine for entry into this competition. 2. World Health Organization Bulletin: How can we achieve global equity in provision of renal replacement therapy?